VIRGIN RIVER GORGE, Ariz. — A motorcycle rider was transported to the hospital via medical helicopter early Monday morning after crashing his bike just before the south entrance of the Virgin River Gorge in Arizona. If not for two alert passersby, officials said the motorcycle rider likely would have died from his injuries sustained in the crash. The two men in question were traveling on Interstate 15 at approximately 2 a.m. when they spotted a motorcycle lying in the median near milepost 12, Arizona Department of Public Safety Sgt. John T. Bottoms said. The men turned around and went back to the area. 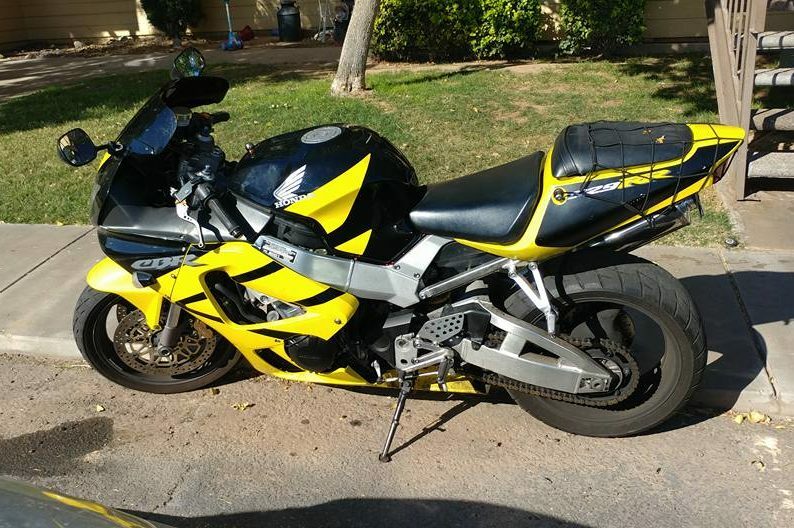 They called 911 after finding a man lying in the median about 20-25 feet from a black and yellow 2001 Honda CBR 900 motorcycle. Based on the pattern of evidence and debris, Bottoms said it appeared the man had been traveling north on I-15 when, for unknown reasons, he lost control of the motorcycle, went into the median and crashed. While the motorcycle was totaled during the crash, Bottoms said the bike was mostly still intact, suggesting that the man likely wasn’t speeding at the time of the crash. Bottoms said it was unclear what time the crash occurred or how long the motorcyclist had been lying along the highway before being discovered by passing motorists because it was dark and hard to see. Due to the man’s injuries sustained during the crash, Bottoms said that if the man had been there four more hours until sunrise, he likely would have died. Bottoms said it appeared the man had a broken hand or arm, a broken ankle, a distended abdomen indicating swelling or bleeding from an internal injury, as well as a head injury. A Mercy Air helicopter was dispatched to the scene to transport the man to University Medical Center in Las Vegas. Both northbound lanes of travel were shutdown for approximately 20 minutes while the helicopter landed, loaded the man and took off. During the flight, Bottoms said emergency personnel put the man on a medical ventilator, a machine designed to move air into and out of the lungs to provide breathing for a patient who is physically unable to breathe or is breathing insufficiently. As this report is published, highway patrol officials were working to positively identify the rider of the motorcycle because they were unable to locate a driver’s license or ID on the man or within the crash scene. Just before noon Monday, officials were able to make contact with the registered owner of the motorcycle, who Bottoms said would be traveling to the Las Vegas hospital to confirm the identity of the crash victim. The crash is still under investigation, Bottoms said. Officials had not yet determined whether drugs or alcohol may have been a contributing factor in the crash. The motorcycle was towed to St. George by Bracken’s Auto Tech and Towing.